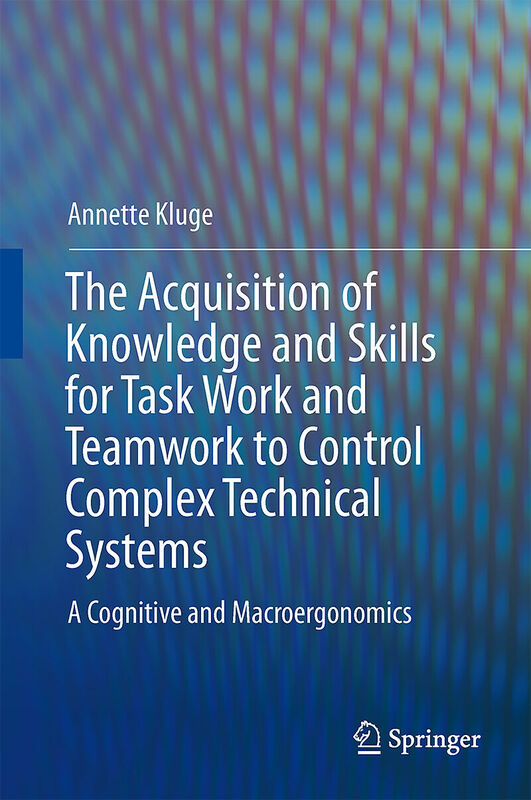 Adopting a &apos;human factors&apos; perspective, this book introduces a new way of understanding the learning process of a complex task, thus bridging the gap between traditional learning theory and new methodologies for training workers using highly complex systems. This book provides the first comprehensive literature review on the acquisition and retention of complex skills in High Reliability Organizations. Based on this review, it introduces a theoretical model of how skill and knowledge acquisition for complex tasks is accomplished and shows how this model can be used to derive training methods and instructional techniques. Successful acquisition and retention of complex technical skills within High Reliability Organizations requires a full understanding of the learning process, knowledge structure, and skill requirements associated with the effective operation and management of technology. For researchers and for organizations, the understanding of these processes is vital for designing training programs as well as for reducing errors with severe consequences for human lives and the environment. Until now, only theoretical fragments exist on this topic, and only a very limited number of publications actually address complex tasks in vocational/occupational settings. 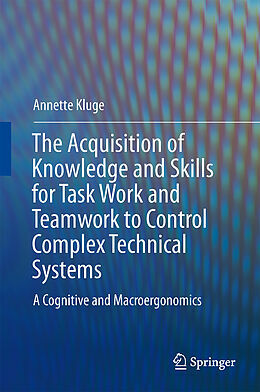 "The Acquisition of Knowledge and Skills for Task Work and Teamwork to Control Complex Technical Systems " uses its literature overview and theoretical model to formulate training principles, that can be used to develop training experiments for further empirical investigations as well as training methods for applied organizational contexts. Since July 2008 Full Professor in Business and Organizational Psychology at the University of Duisburg-Essen, before assistant professor for Psychology at the University of St. Gallen (2002-2008), Switzerland, and research assistant at the Technical University Aachen (1996-2001). Diploma in I/O Psychology at the Technical University of Aachen (1991) and Doctor s degree at the University of Kassel (1994), at the department of ergonomics and vocational training. Research interests in training and work-based learning in organizations, basic and refresher training for handling complex systems, use of cognitive task analysis for simulator-based training design, development of job performance aids based on cognitive error analysis methods, knowledge sharing behaviour, organizational learning from errors, and organizational factors influencing safety-related rule violations.